Eyelash extensions are the fasted and most relaxing way for your to have longer lashes. 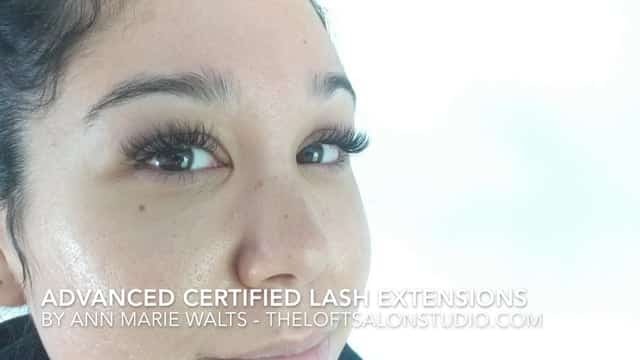 TIP: Eyelash extensions are more common now than they were 10 years ago, when I got certified; however you really need to choose your lash stylist by their level of experience. True Volume eyelash extensions are not flares, or cluster lashes. Volume eyelash extensions are comprised of a certain delicate & light weight extension that then is made into a handmade fan. I am 10 years certified & Advanced Certified by both Xtreme Lashes & Bella Lash extensions companies. Lash extensions, hair extensions & photography are what I am so very passionate about. Providing extensions is a tedious and specialized service. It is luxurious to get them and worth the money for you to pamper yourself! You will always get to be pampered with a private appointment for any and all services. If you want fluffy eyelash extensions then give me a call or book online, today!